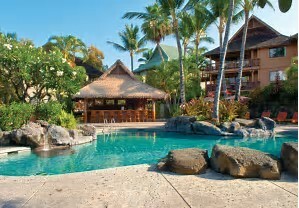 A Big Island of Hawaii Timeshare Resort in Kailua-Kona! The Wyndham Kona Hawaiian Resort is situated on more than thirty acres overlooking Kahului Bay in Kailua-Kona on the Big Island of Hawaii, Amenities on-site include two outdoor swimming pools, a children's pool, exercise facility, and two outdoor hot tubs. The Kona timeshare resort provides events including an Aloha Monday Party with a flower lei greeting, complementary appetizers, live Hawaiian music, and hula dancing. The Wyndham resort also offers a variety of family events including ukulele lessons, Hawaiian storytelling, lauhala bracelet weaving, and Hawaiian angel doll making. 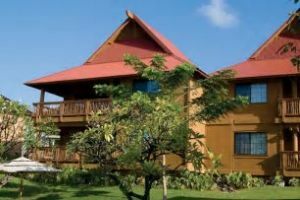 At Wyndham Kona Hawaiian Resort, each two-bedroom villa features a fully equipped kitchen and two bedrooms with king beds. There is a whirlpool tub in the master bathroom. A separate living room has a queen sleeper sofa, cable television, and DVD player. 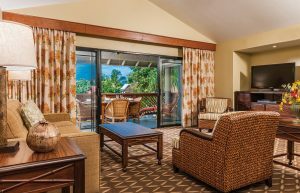 When you are ready for your Big Island vacation be sure to check out the WorldMark Kona Hawaiian Resort.